Building a house, most of the times, is lifetime dream. It is very important to find the right people to help you out for this dream to come true with respect and professionalism. 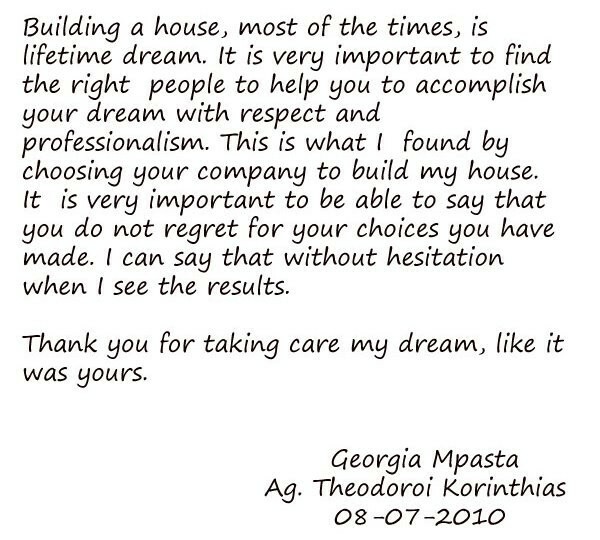 This is what I found by choosing your company to build my house. It is very important to be able to say that you do not regret for your choices you have made. I can say that without hesitation when I see the results. Thank you for taking my dream as it was yours.